Three world tours, incredible adventures, innovative projects from social to adventure, and important professional experiences in tourism. This defines Matteo Pennacchi, an eclectic 47-year-old Italian traveler. 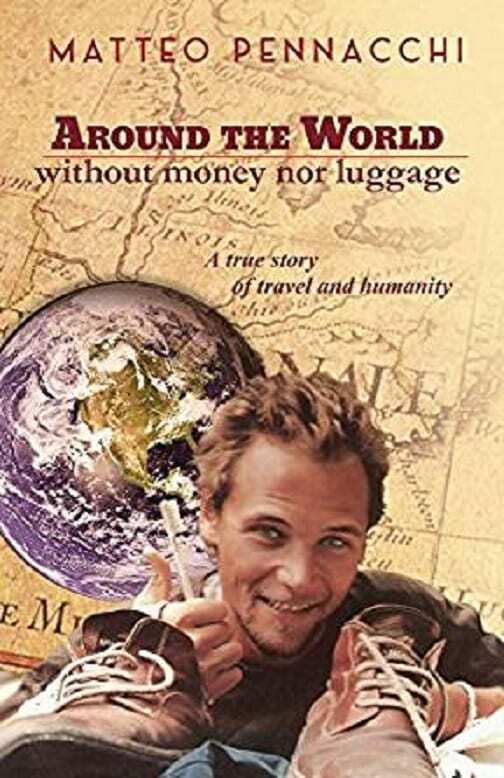 Let’s start from the journey that made him famous: “The Tour of the World without money and without luggage” – an extraordinary adventure undertaken by Matteo in 1998. Subjected to Guinness World Records, the journey turned into a social challenge, consisting of humanity and extraordinary experiences around the world. In a race against time, and a bet he made with himself, away he went on the road with luck as his means, aboard trucks, trains, and ships, across continents, from Moscow to Beijing to Seoul, and from the USA back to Italy. Traveling the world without money, having only with a baby carrier that contained his passport, toothbrush, press articles published before leaving, and a few other items, the daily challenge was to receive food, accommodation, and transportation. The creative mind of a young man determined to pursue a dream saw Matteo performing prestige games on the Trans-Siberian train in exchange for some food, refreshing fruit and vegetable in ship containers in exchange for navigable passage, and last but not least, the friends he made along the way that were willing to offer hospitality. Matteo’s journey reflects the true character of a Sagittarius, his zodiac sign, which reflects the spirit of an adventurer whose ideal space is the world. This journey can be considered one of the last fearless adventures before the great globalization of the Internet. And it is even before this advent that Matteo builds around himself a universe of activities that have made him famous in the field of tourism and in social living. This motto of Matthew expresses the philosophical thought that in life goals are endless. He believes he will be provided with what he needs if he is in command of a load of goodwill and initiative, supported by the university training base he received and the knowledge of four languages. He personally confirms this on the occasion of a meeting in the Monteverde Vecchio neighborhood in Rome on a cold January morning. I reversed the memorandum of points in my interview with Matteo, asking first about his latest goal. Matteo’s reply was that the Italian brand “Around the World Tours,” a site specialized in tours of the world he created 5 years ago, has become a USA property. The request for clarification indicates the identity of the new owners (Bootsnall.com and Airtreks.com – world leaders in multi-stop air ticketing) and specifies that the site lists useful information to circumnavigate the globe, offers many itineraries and free advice to draw routes of world tours ideal for all types of travelers, and last but not least, it offers the user the possibility of being put in contact with the ideal operator depending on the country of departure and the type of tour of the chosen world tour. With this operational strategy, stated Matteo, the American group intends to expand the offer, proposing to its customers not only air ticketing for the World Tour but also all-inclusive packages. The final objective is to position itself at the world leader level for this coveted type of travel. As in a movie trailer, I go back to his previous achievements that turn out to be extraordinary. In addition to minor but highly-significant multi-activities, Matteo began by founding a humanitarian organization. He obtained a job at the United Nations in Kenya, entered the advertising sector in Milan, collaborated with the weekly magazine Vita, became a consultant in social communication, created the newspaper Good News, and earned a journalist’s license. At the turn of the second millennium, he established his communication company and activated a plethora of activities connected to it. He created and realized “The Interactive World Tour” – the first reality travel show among the first online communities nomadcommunity.com. It was an adventure also reported on by the weekly Times. His press review exceeded 1,000 pages. He currently works in Italy for prestigious tour operators such as Elephant Tours and Kel12 and also represents luxury hotel brands and travel correspondents from Oberoi Hotels to Abercrombie & Kent, to Kuoni Destination Management company as well as the investiture as a representative of Ayurvedic and Yoga clinics, and the Somatheeram Ayurveda Group for the European market. Recently, he was awarded the Enrico Toti Prize for Italian Excellence in Travels and Explorations. Despite the genius revealed, Matteo is reluctant to indicate (then consents) that the pages linked to his biographical note list the names of leading international and Italian newspapers. You are forty-seven Matteo, I say, the enormous experience of three laps of the world has given you maximum popularity besides enviable professional experiences. After these goals, what are your future plans? The story of Matteo Pennacchi – spontaneous, fun, and light-hearted – is the story of an adventure that many of us would like to live. The first edition of his book “Il Grande Sogno” (The Great Dream) was released in the year 2000 in Italy, France, Canada, and Germany, and now the new Italian and English editions are being published. In addition to the story of this incredible adventure around the world, readers will find new ideas for their future travel. And for those who want to embark on a World Tour, this book will be a precious guide.